You decided you want to marry a Thai girl? From Bangkok? Chiang Mai, Pattaya or from countryside? Or you just browsing to find out if you would like to have a Thai girl as your girlfriend, among the other Asian treasures: Philippine Girls, Chinese Girls etc... Browse the selection of girls below, read the information "What is so special about Thai Girls" and join our Asian Introduction Service to meet your Thai bride online! In Thailand English is not widely spoken, so it will be a huge task for you to find a good looking, honest, reliable Thai girl yourself. That's why most people use online dating service or even better Introduction Services. We as leading Asian introduction service can help you to overcome the challenges of language problems, distance, selecting the right girls, finding beautiful Thai girls, finding honest Thai women for you etc. Simply select the link below and you will be able to join the leading Asian introduction service for free with many Thai ladies! Kanchana is 25 yo. Thai girl from Ratchathani. She is a looking for a sincere, simple man, kind and self confident. She is a simple lady who likes to Listen music, read books. Orawan is a 26 yo. Thai women from Nakhon Ratchasima. She is a little bit shy in the beginning, but after opens. She likes to read books and to go shopping, watch movie. Pikun is a 21 yo. Thai lady. SHe ia young and fun to be with but she is more mature than here age. She likes aerobic dance & play volleyball. Would love to travel. Ratchaninat is a 28 yo. Thai women. She has a son and loves to spend time with him. Her future men should love him too. Hobbies are to sing and dance and movies. Nittaya is a 29 yo. Thai girl from Nakhon Ratchasima. She is very friendly, cheerful and sincere. Her hobbies are reading magazines, watch movie and music. Meet her and other Thai girls today! Nittiya is a 27 yo. Thai lady from Udon Thani. She is a happy positive lady and very secure. She likes shopping, listening music and news and likes sports a lot. Ao is a 30 yo. Thai women from Khon Kaen. She is of course single and never married. She likes to read books, watch TV as well as movies and meet friends. Dao is a 23 yo. Thai girl from Udon Thani. She is a serious and both very happy person, also very loyal & honest. She likes taking care of house, cook, clean & sports. Suteerat is a 22 yo. Thai girl from Udon Thani. She is tall, slim and with tan skin. Her interest are to do house works, to make every clean & to listen to favorite music. Valaiporn is a 25 yo. Thai women from Bangkok. She is an honest and open person, ver sociable. Her hobbies are to go out with friends, but normally i'm home. Meet her and other Thai ladies today! Of course ladies in Asia have something special compared with western women. However Thai Girls and Thai Women, of course are different than Chinese Girls and Philippine Girls. So what is so special about Thai Girls? Especially compared with other Asian girls? Well first it is their skin color. In Thailand you can choose girls with darker skin than Chinese ladies, however also Thai girls with white skin are there. Generally speaking they are in the middle, compared with Chinese girls and Philippine girls. 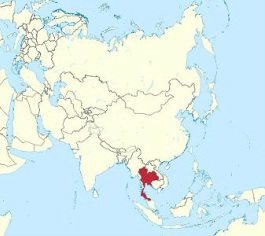 If you go more south of Thailand, the more darker the skin color, which is valid in all South-East Asia. Secondly, Thai ladies are very strong ladies and sometimes in the beginning a little bit 'cold', but when she loves you she is a very strong long-life partner to have in life, very honest and she is all yours. Thirdly, compared with for example China and Philippines, Thai girls come from a proud country (Kingdom) and never have been colonized and therefore have their own typical traditions. Of course there are many more special things about Thai women and Thai Girls. Find them out yourself and start dating the Thai lady of your life for marriage HERE!